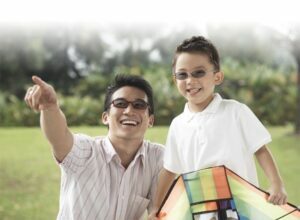 In recent years there has been some confusion between the properties of both Trivex and polycarbonate lenses. Is Trivex or Polycarbonate the Better Lens? 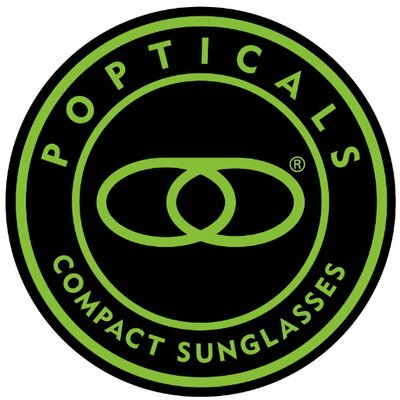 Both materials block 100% of the sun’s harmful ultraviolet rays, are compatible with most applied external coatings (such as an anti-reflective or scratch-resistant coating), are compatible with digitally-surfaced progressive and single vision lens designs, and are compatible with polarized or photochromic lenses. 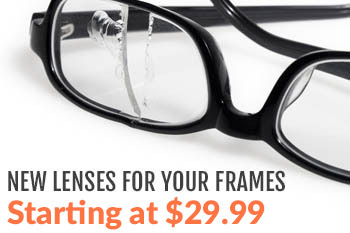 Composed of a urethane-based pre-polymer, Trivex is the lightest of all modern lens materials. Yet it is strong enough to feature a top-end impact-resistance rating, making it an ideal choice for sports glasses and safety goggles/glasses. When compared to polycarbonate in terms of optical clarity, Trivex prevails; its Abbe value of 44 is significantly higher and allows for less chromatic aberration. The price paid for this dramatic improvement is easy to spot: the price itself. Trivex traditionally costs more than double the price of polycarbonate. Polycarbonate is not only more affordable but also highly shatter resistant, which makes it ideal for use in safety and sports eyewear. It is lighter than standard plastic lens material and features the highest impact resistance of any lens material, bar none. The lighter weight and high resistance to cracking make it a recommended choice for rimless or semi-rimless frame styles. Polycarbonate is, however, a relatively soft material, so the application of an optional scratch-resistance coating is highly recommended. Polycarbonate also suffers from an Abbe value of only 30, meaning lens distortion can be a factor for some. Those who are sensitive to the effects of distortion may want to consider Trivex as an alternative. Hopefully these facts arm you with a bit more information about the qualities – and distinctions – of Trivex and polycarbonate lenses. Give some thought to the specifics of your own application to determine if one of these safety lens materials has a slight edge over the other.